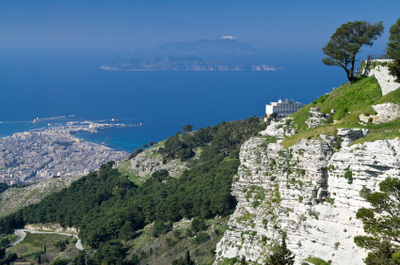 Drive or take the cable car from Trapani to the top of Mount Erice 751m high, to the little mediaeval town of Erice, with spectacular views overlooking the city of Trapani, the low western coast towards Marsala, the dramatic Punta del Saraceno and San Vito lo Capo to the north-east, and the Egadi Islands. 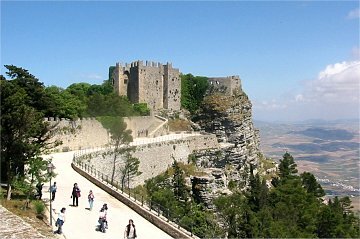 There are two castles that still remain: the Pepoli Castle, which dates from Saracens times, and the Venus Castle, dating from the Norman period, built on top of the ancient Temple of Venus. 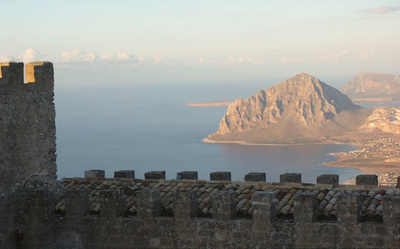 For centuries Erice has been a popular haunt for scholars and monks for their prayers. Narrow and winding little streets, mediaeval arches, richly decorated courtyards and small shops add to the charm of this little hilltop town. 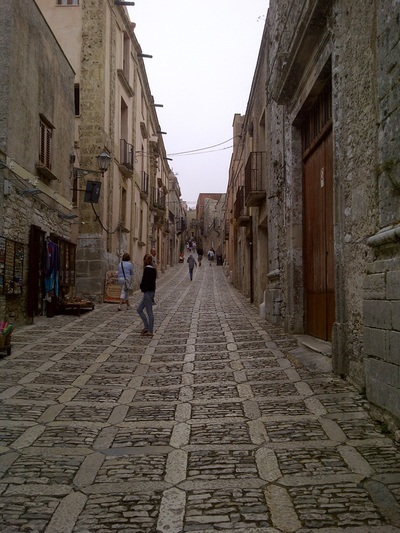 The town is also famous for the antique convent pastry shop in Via Guarnotti, one of the most renowned Sicilian bakeries. Enjoy the fine Erician pastries first created within the convent walls by the nuns.